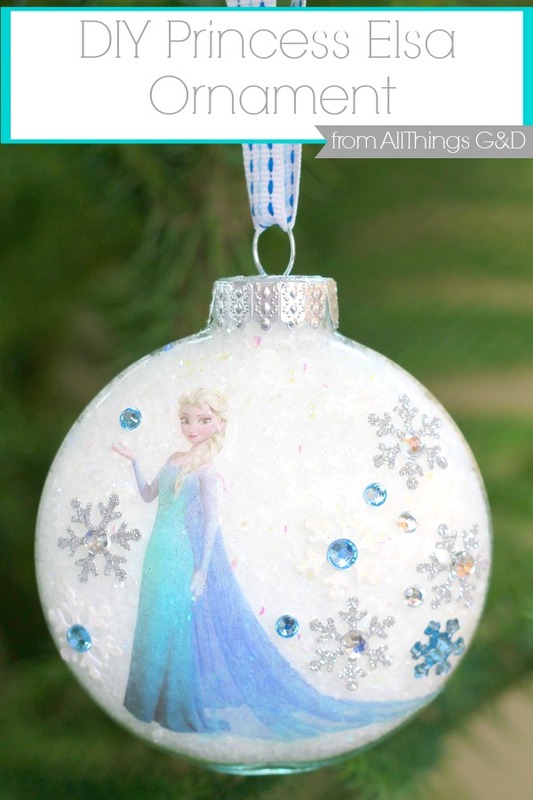 It’s not too late to surprise the Frozen fan on your holiday list this year! 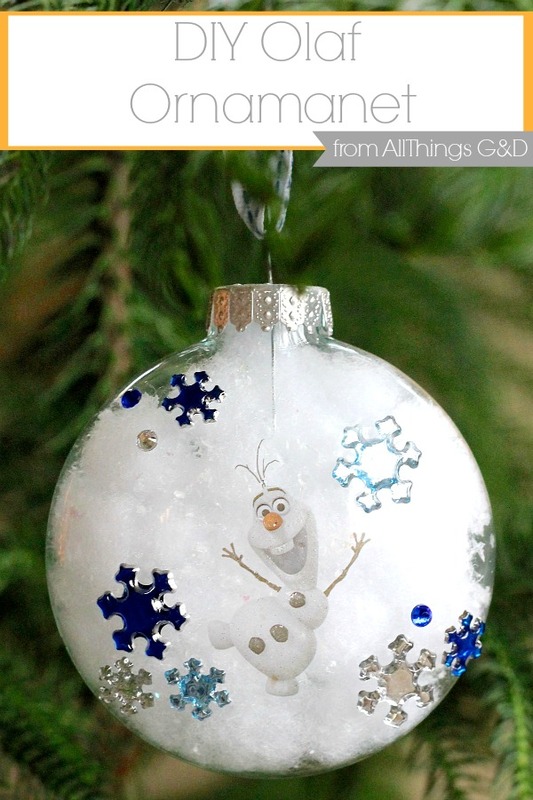 Make them one of these beautiful and unique DIY Frozen Ornaments to hang on their tree. It’s easier than you think with this amazing trick! My secret? All of the ornaments you see here were made using Frozen tattoos that I purchased in the dollar section at Target. Yes – tattoos! 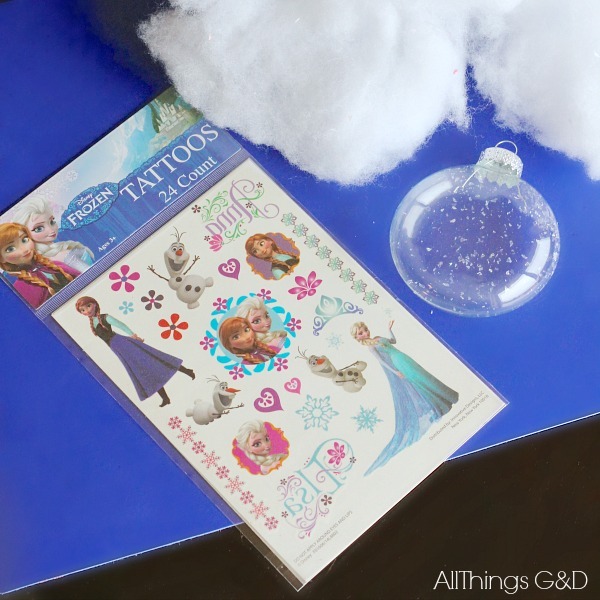 For the Princess Elsa ornament I used a Princess Elsa tattoo (see instructions for applying tattoo to glass here) and some sparkly snowflake stickers. 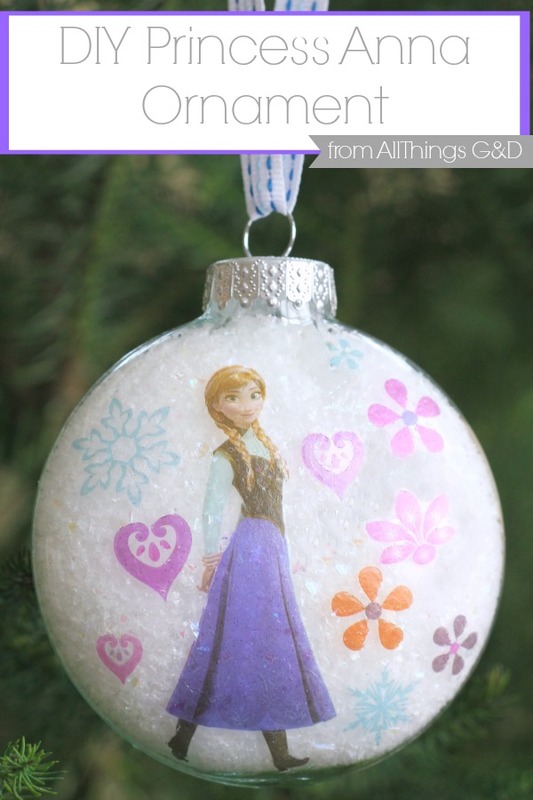 I didn’t have enough of the fine, sparkly faux snow filler that I used in Princess Elsa and Princess Anna’s ornaments, so for my Olaf Ornament I used stuffing with a little bit of the sparkly faux snow mixed in. It turned out great! Each of these ornaments can be completed in 10 minutes or less, making them a perfect last minute holiday gift! 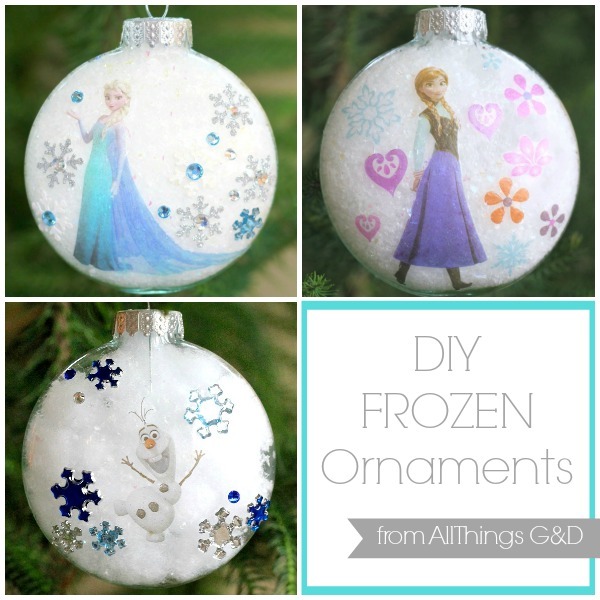 Have you tried making your own Frozen ornament out of tattoos yet? I’d love to hear how it turned out! Like this easy DIY project? See more at the All Things G&D DIY Gallery. So sweet of you to say, Sylvia – thank you! And I hope your sweet grandkids enjoy this craft. It’s so fun to do! I am totally go to do these for my grandkids. 1 question I do have I am going to use the plastic ornaments from Michael’s craft store. Hi Starr. No, I did not spray on these ornaments, but you certainly could if you’d like! We’ve had ours for a few years now and they still look great, for what it’s worth.